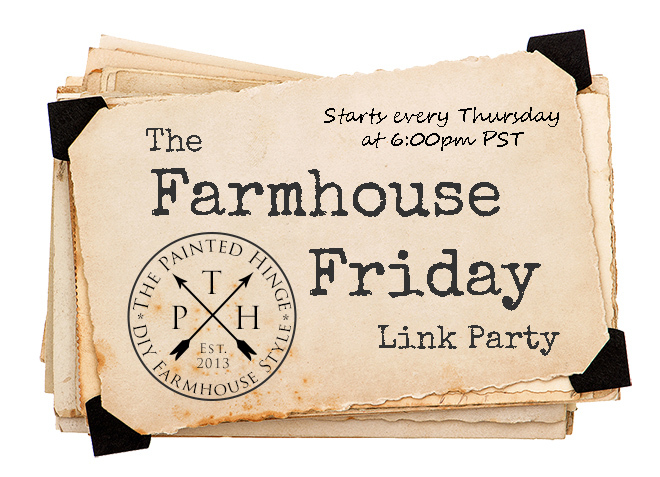 Welcome to The Farmhouse Friday Link Party #76! Hello my farmhouse peeps! How was your week? I spent this week getting ready for two upcoming fall-themed blog hops that I’m super-excited about! Here’s a little sneak peek at what I’m working on for both hops! The first blog hop is the Fall Festival Blog Hop which will go live next week. It is hosted by Kendra at Joy In Our Home. It will feature bloggers sharing all things fall, including vignettes, tablescapes, recipes, porch and mantle decor! The second blog hop is a fall porches blog hop on October 9th hosted by Amber at Follow The Yellow Brick Home. If will feature an eclectic mix of fall porches by some very talented bloggers! 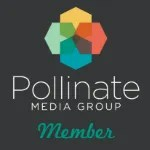 I hope you will check back in to check out both blog hops! Now, on to this week’s features, which of course is fall themed! I can’t get enough of Desiree’s farmhouse kitchen! She used pastel and neutral colors to decorate her kitchen for fall, and the results are simply stunning! I love Penny’s feminine take on Fall decor! She made her couch slipcover using a king size dust ruffle and a thrifted bedsheet. Paula shares this simple-to-make wheat wreath that is a beautiful staple in fall decor. The buffalo check trend is still going strong! Carol incorporates the trend beautifully for fall by painting pumpkins buffalo check using a neutral fall color. The party rules are super simple! Link up your favorite DIY projects, decor projects, and crafts that are farmhouse style. If it doesn’t fit into that description, please don’t link it up. Please no food/recipe posts. You can link up your new and old posts alike as long as you only link them up here once. I don’t require you to link back to this party, but if you do, I would sure appreciate it! I also don’t require you visit or comment on other blogger’s linkups, but it’s always a nice way to share the bloggy love! Comments are like Skittles to bloggers – we love them and we can’t get enough of them! If you pin anything from the party, please pin it from the original source. By linking up, you will get a chance to be featured here at next week’s party! You will also get a chance for your post to be shared on my Facebook group DIY Farmhouse Style, which at this writing has over 322 thousand members. Your front porch looks so ‘fall inviting’ as does your collection grouped with the framed blackboard, love the sharp contrast of the weather vane against the blackboard. Thank you for your 76th Farmhouse Friday. Thanks so much Joy! And thanks for joining us each week! Thank you so much for featuring my DIY Wheat Wreath! You’re very welcome Paula! Thanks for sharing it with us! Thank you so much for including my slip cover in the features this week! Have a wonderful week end…..hugs..
You’re very welcome Penny! You have a wonderful weekend too! Thanks for hosting friend! Have a great fall weekend! You’re very welcome friend! You have a great weekend too! Thank you for featuring my buffalo check pumpkin and for hosting your party each week! You’re very welcome Carol! Thanks for sharing it with us! Thanks for the party, Michell!